Hello diamonds. Enjoying your democracy day I hope? 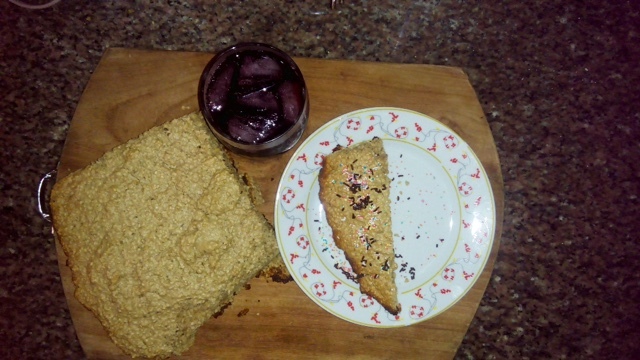 In true public holiday fashion I set out to experiment on food again. I’m happy to report that the outcome was more than ‘sweet’. My food tasters (Hubby, Ukay and Cousin-in- laws) loved it. The recipe below. Put the eggs and butter in a food processor (or mixer) and process for about 3 minutes. Add the sugar and mix way. 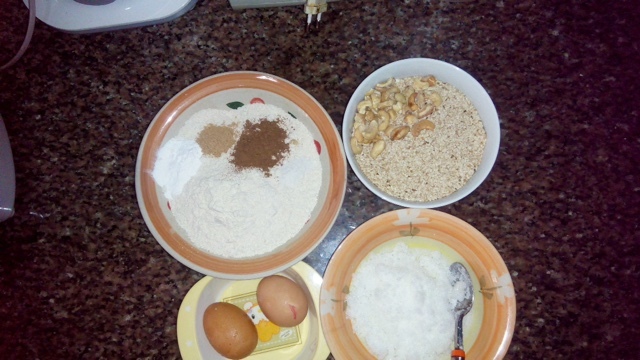 In a separate bowl combine the oats, nutmeg, cinnamon, and baking powder. Add this dry mix to the food processor/mixer and process. When the ingredients have properly combined, add water and mix. Finally add the sesame and cashew nuts. Process for 5 minutes. 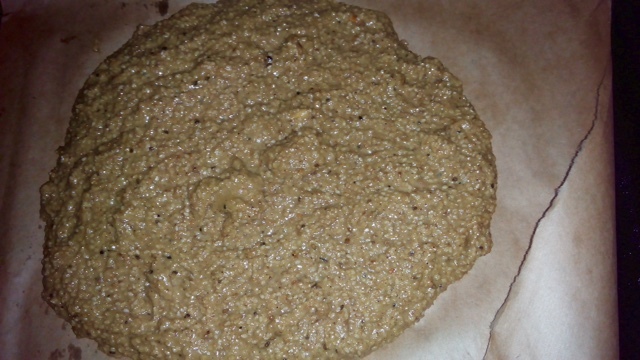 Place a baking paper on the oven tray and pour on the sesame mix. Place in the oven at medium to high heat and let bake for 15 to 20 minutes. A tooth pick or table knife can be inserted in the middle of the bar to check if it is done. When it is ready, remove and allow to cool down before serving with a chilled drink. Wall Art Deco: Faith, Hope and LOVE.